Meticulously maintained home nestled at the end of a quiet cul-de-sac. This charming home is move-in ready with new floors, interior and exterior paint and updated bathrooms (vanities, hardware, mirrors, faucets & lighting)! The kitchen has been updated with granite counter tops, backsplash, fingerprint resistant stainless appliances, shiplap coverings, Kichler lighting fixtures & opens to a two story great room with fireplace. Huge screened porch boasts an Eze Breeze system to allow for a fully enclosed, screened in or totally open room! Screen porch overlooks Trex deck the fenced yard with lush landscaping, rain garden & exterior storage building. 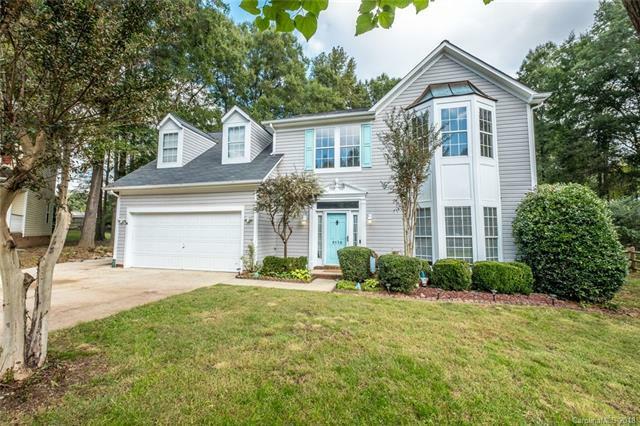 Great location minutes from shopping, dining, & I-485!